Here at the blog, we’ve talked about a variety of cardiovascular diseases that affect athletes. Coronary artery disease, that can lead to heart attack, is the most common cause of sudden death in athletes over the age of 40. Years after his death, many will remember Jim Fixx for the contribution he made to the popular enjoyment of running. His story is very compelling. In his mid-thirties, he was overweight (240 pounds), a 2-pack-a-day smoker, and sedentary. But he got the urge to do something healthier….and took up running at age 35. He would lose more than 60 pounds and became an example of how a healthier lifestyle was possible for ordinary folks. 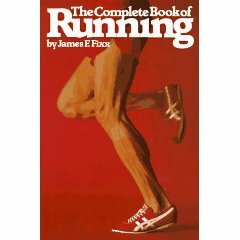 In 1977, Fixx authored “The Complete Book of Running.” At the time, this was the best-selling non-fiction hardcover book ever published. He inspired countless Americans to take up the hobby of running. Out for a run through the Vermont countryside on July 20, 1984, Fixx was found alongside the road, dead at the age of 52. An autopsy showed that he had severe blockages in all 3 of his coronary arteries….a setup for heart attack or sudden death. On the face of it, Fixx’s death was stunning. His public persona was the picture of health. Yet we know that at the time of his death he didn’t have a personal physician. In fact, he hadn’t had a physical examination in years….despite his history of obesity and smoking. 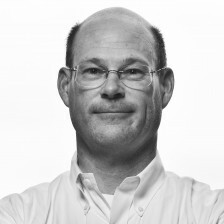 Moreover, he had a strong family history of coronary artery disease in his family: his father had his first heart attack at age 35 and died of his second heart attack at age 43. We’ll never know if Fixx’s death was avoidable….but his story provides lessons for all of us middle-aged athletes who are pounding the pavement each day. In my next post, I’ll talk about the problem of coronary artery disease, along with its risk factors, prevention, and treatment. And I promise to leave our readers with some useful advice on what they can do to prevent a story like Fixx’s.